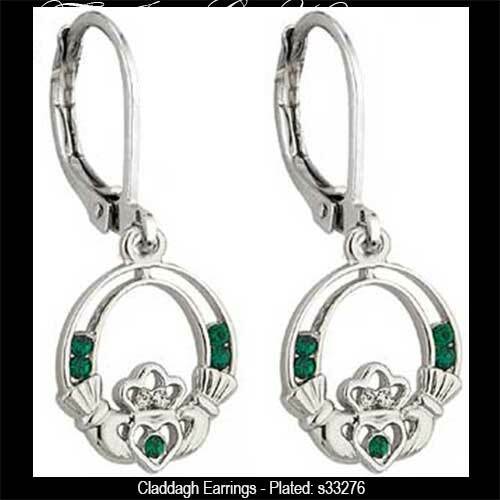 These rhodium plated Claddagh earrings feature green and white glass stones. These Claddagh earrings features an open design that is accented with green glass stones, including one in each heart, along with white glass stones in the crowns. The Claddagh earrings are a drop design on latching Eurowires that measure 1/2” wide x 1" tall, from the bottom of the heart to the top of the wire.